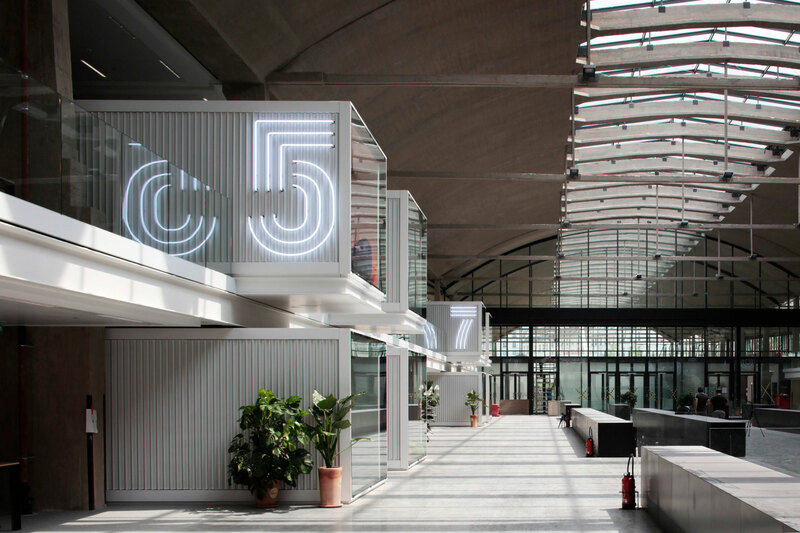 As of 2017 Paris will host the world’s largest digital business incubator. 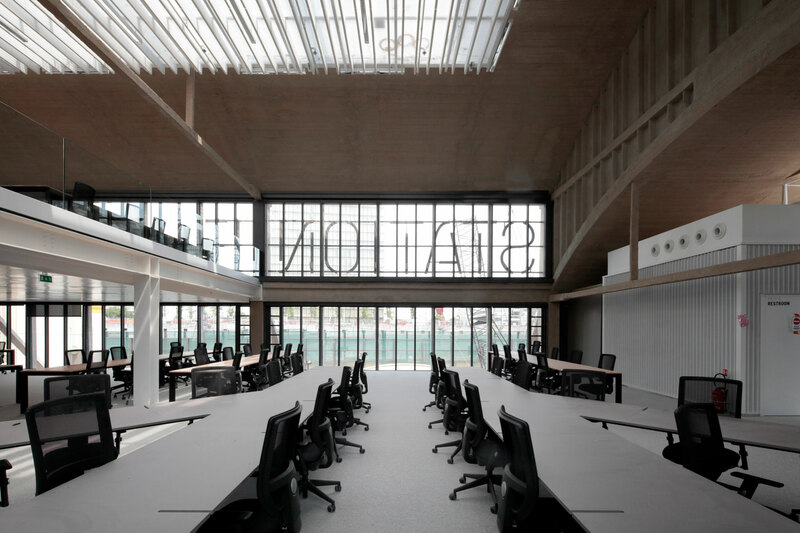 The future driver of French digital entrepreneurship is located in the renovated Halle Freyssinet in the 13th arrondissement of Paris. 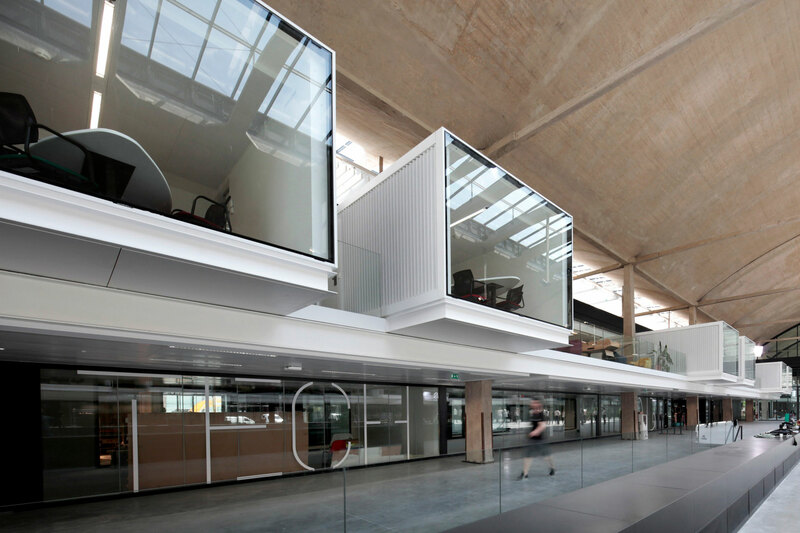 Funded by the businessman Xavier Niel, this project will host 1000 innovative start-ups. These will benefit from a single workspace, approx. 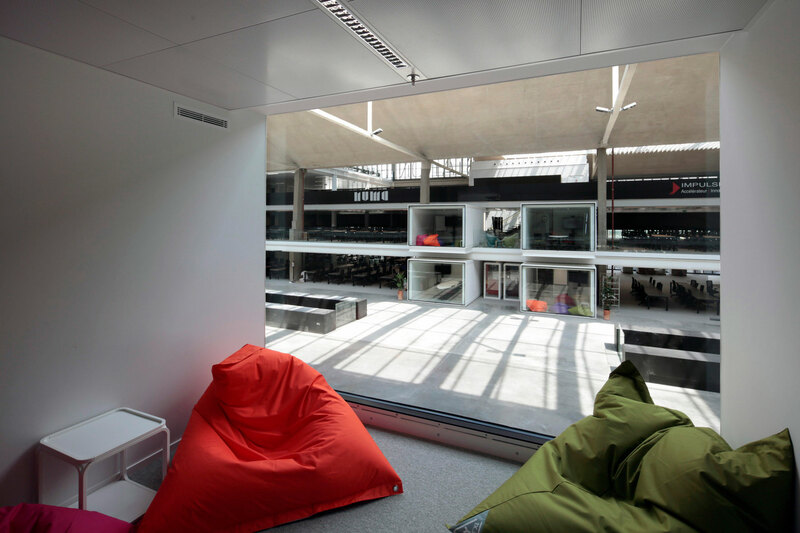 34.000 m² big, to emerge and transform their innovative projects into true world-class companies. 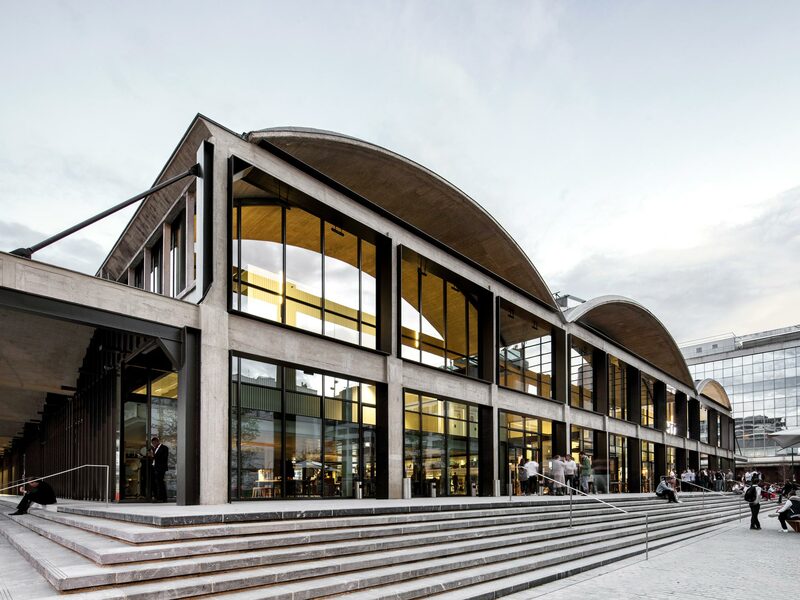 Designed by Eugene Freyssinet in 1927, la Halle Freyssinet is a remarkable building made of pre-stressed concrete. The load-bearing structure is exceptionally light thanks to an innovative technique used to apply the concrete. As a result of this original feature the Halle Freyssinet was listed as a Historical Monument in 2012. The transformation presented many challenges for the architectural and climate concept. The structure was initially conceived as a transshipment hub for trains and trucks, without heating and open to all four sides. Therefore a real building that meets the current standards of comfort had to emerge while retaining the original architectural appearance. 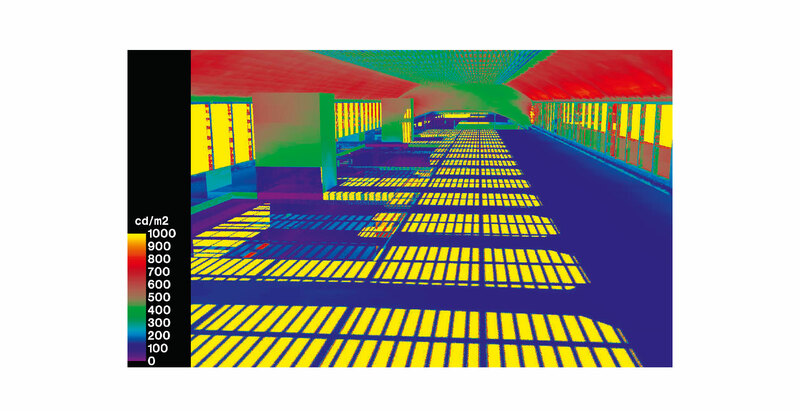 The renovation of the building envelope focuses on improving the thermal performance and treating potential thermal bridges while respecting the original vision. 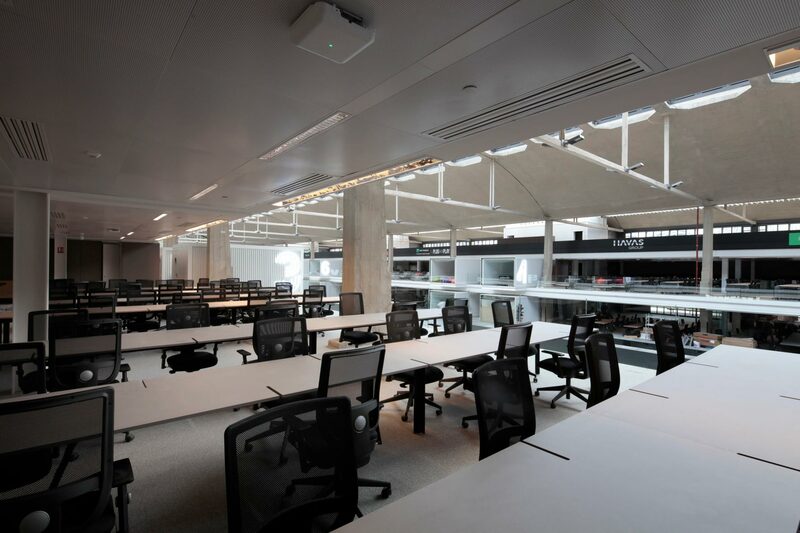 Similarly, facades and canopies are designed to intelligently deal with solar gain while ensuring a high level of lighting comfort to users, and with minimal external visual impact. The openings for natural ventilation are motorized and are also used for night time air flushing to discharge any heat loads and to activate the thermal mass of the hall. In order to limit the impact on volumes and maximize the space available to occupants, the technical equipment was optimized and decentralized air units have been set up locally for the different areas of the hall, also called "villages ".